The Michael V. Hayden Center for Intelligence, Policy and International Security released a statement Wednesday night from General Michael Hayden and his wife, Jeanine at a SPY Museum event at the Ritz Carlton honoring Admiral William McRaven. 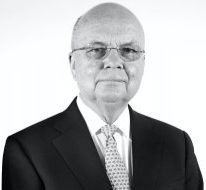 General Hayden is currently in intensive rehabilitation recovering from a stroke he suffered last week. Hayden is a member of The Cipher Brief’s Board of Directors. Prayers and warm wishes for a speedy recovery. Yours is a sane voice needed during this shameful time in American history. Best wishes! Enjoyed your two books, really look forward to a third book, General Michael V Hayden. I especially, enjoyed your group talks on intelligence, your experiences, and your life. Thoughts & prayers for a smooth & speedy recovery. Our best regards to the family. Get well soon, boss. Our thoughts and prayers are with you. I always admired General Hayden when I saw him on television. I am wishing him wellness and a very Merry Christmas and a Happy New Year! Well wishes in your rehab. Highly respected and needed clarity in the mess we find ourselves in. I’ll continue seeking updates on your progress. Thoughts and prayers to you Sir, and your family. I wish General Hayden and his family well during the Holiday season. America has not forgotten about him and know the struggle recovery takes. A good man with a powerful message. We wait to see you back on the airwaves speaking truth against tyranny. Find peace and strength in your recovery, and enjoy the holidays! Gen Hayden: My wife and I continue to pray for your comfort and recovery. You are a true American hero.